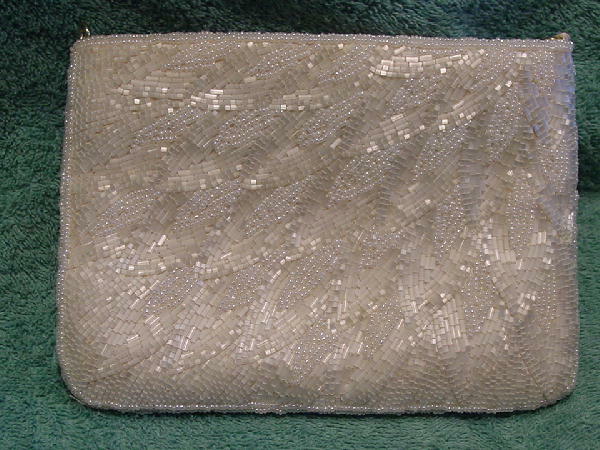 This vintage white beaded and tiny iridescent pearls Regale purse has a top side to side zippered closure. 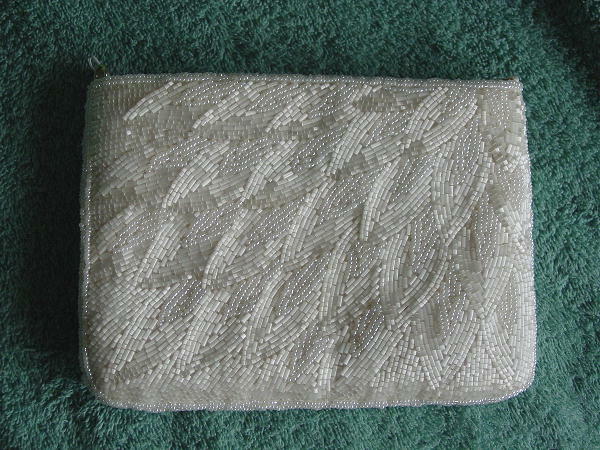 It has a padded interior white (feels like silk) lining with a small open pocket. There are two small gold-tone rings so you can attach a chain shoulder strap. It has really pretty bead (and pearl) work. It's a very nice pattern. It was handmade in China. It's from a former New York model who wore it to several Academy Awards ceremonies and to several movie premieres.